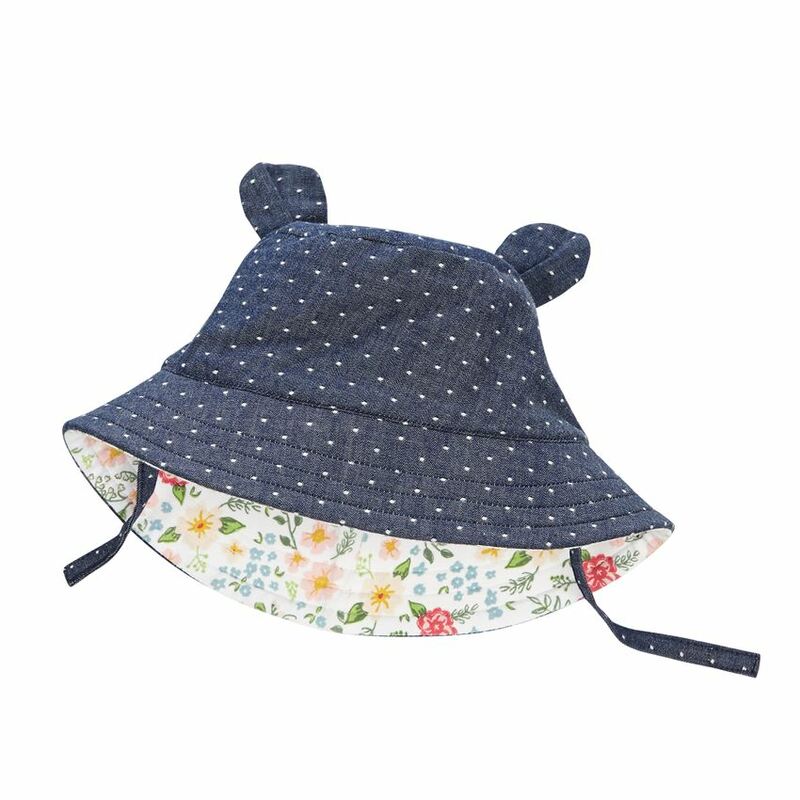 Reversible cotton spandex dobby chambray sun hat features dimensional "ears," contrast floral printed lining and hook and loop chin strap. Machine wash. Imported.